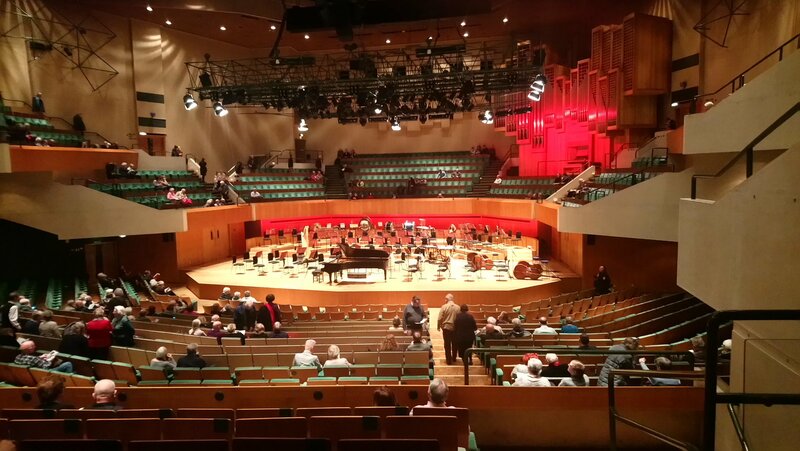 It has been a very busy weekend but yesterday afternoon I took time out to visit St David’s Hall in Cardiff to hear the Orchestra of Welsh National Opera conducted by Tomáš Hanus in a programme of music by Beethoven, Mendelssohn and Dvořák. I’ve noticed that many of the international concerts that are a regular part of Cardiff life have been moved from weekday evenings to weekend afternoons. No doubt that it is for commercial reasons. I have to admit that I’m not a big fan of matinee concerts, but as it happens I’m not going to be available for many of the weekday evening concerts for the foreseeable future so I thought I’d give this one a go. The programme was a middle-of-the-road bums-on-seats affair, but if it brings people into the concert hall that is a good thing and it was nice to see a big crowd, including a sizeable contingent of schoolchildren, there to enjoy the show. First up we had a favourite piece of mine, Beethoven’s Egmont overture, inspired by the story of Lamoral, Count of Egmont whose execution in 1568 sparked an uprising Spanish occupation that eventually led to the independence of the Netherlands. It’s a stirring, dramatic work, ideal for opening a concert programme. I thought the tempo was a bit slow at the start, which made increase in speed towards the end a little jarring, but otherwise it was well played the full orchestra, arranged with six double-basses right at the back of the stage facing the conductor with the brass either side. That was very effective at generating a rich dark sonority both in this piece and in the Dvořák later on. The next item was a very familiar work indeed, the Violin Concerto in E minor by Felix Mendelssohn. This is perhaps best known for its lvoely second movement (in which they key changes to C major) but the other two movements are really innovative and virtuosic. In the wrong hands the slow movement can be horribly schmaltzy but Norwegian soloist Henning Kraggerud managed to bring out is beauty without wallowing in its romanticism. It was a very fine performance, warmly appreciated by the audience. Henning Kraggerud treated us to an encore in the form of an intruguing piece by a musician previously unknown to me, Olof Bull, a fellow Norwegian and a contemporary of Mendelssohn. After the wine break the main event of was another familiar piece, the Symphony No. 9 (“From the New World”) by Antonín Dvořák, a piece full of nostalgia for his Czech homeland written while the composer was living in America. It’s a piece I’ve heard very many times but it still manages to stay fresh, and yesterday’s performance was full of colour of verve. Tomáš Hanus (himself Czech) chose this piece as a tribute to an old friend who passed away last year, and it was was played with great passion. I’d heard all the pieces in this programme many times, both in concert and on record, but they all stand up to repeated listening, simply because they’re so very good. I do like to hear new works – and do wish the programming at St David’s Hall were a little more adventurous – but they do have to make ends meet and there’s in any case much to enjoy in the standard repertoire, especially when it’s played by a fine orchestra. Such pieces can fall flat when you get the feeling that the musicians themselves are a bit bored with them, but that emphatically wasn’t the case yesterday. It will soon be time to Welsh National Opera’s new season, with a new production of Verdi’s La Forza del Destino alongside revivals of Tosca and Don Giovanni. It’s going to be tricky to see them all, but I’ll give it a go! It’s been an enjoyably rich week for me in terms of cultural pursuits, rounded off in fine style last night with a visit to the Royal Welsh College of Music and Drama for a concert by the Emerson String Quartet of music by Purcell, Britten and Beethoven. On Wednesday I made the mistake of going to a concert without having had any food, so this time I sampled the bar menu at the College before the performance. Very nice fish and chips, with very prompt service. The first half of the concert consisted of three pieces by Henry Purcell, the Chacony in G Minor and two Fantazias (in D Minor and G Major, respectively). The Chacony (from the Spanish `Chacona’ via the French `Chaconne’) is a set of variations over a ground bass, while the Fantazias have a much freer structure with the instruments often mimicking vocal lines. This was followed by the String Quartet No. 2 in C by Benjamin Britten, the last movement of which includes a Chacony as a deliberate homage to Purcell (whose music Britten admired enormously). It was actually written to commemorate Purcell’s death (on 21st November 1695). Overall, though, this is more reminiscent of the approach of Britten’s friend Dmitri Shostakovich. It is full of jagged figures emerging from a background that alternates between dark and frenetic. After the interval wine break, it was time for one of my favourite pieces in all music, the sublime String Quartet No. 15 (in A minor) by Ludwig van Beethoven (Opus 132). I’ve loved this piece for many years and it became even more special to me five years or so ago when I was recovering from illness. Until last night, though, I had never heard it live. I take the liberty of translating the first two words, using my schoolboy German, as “A Holy Song of Thanksgiving”; Beethoven wrote the piece after recovering from a very serious illness which he had feared might prove fatal. The movement begins in a mood of quiet humility but slowly develops into a sense of hope and deeply felt joy. The most remarkable thing about this movement to me, though, is that the music seems to possess the same restorative powers that it was written to celebrate. I certainly found it extremely therapeutic when I was unwell. Hearing the whole piece live has a much greater impact than hearing one movement on record, and I have to admit I found last night’s performance quite overwhelming. Judging by the rapturous applause from the audience in the Dora Stoutzker Hall, I think a great many people realised that they had just heard something very special. Music from three very different periods, by three very different periods, all played beautifully with great passion and imagination. What more could you ask for? Why did nobody tell me that Beethoven wrote a collection of 26 Welsh Folk Songs? I had to rely on BBC Radio 3 to educate me about them! Here’s one example, Number 19 in the published collection, arranged for soprano voice with piano, violin and cello accompaniment and called The Vale of Clwyd . 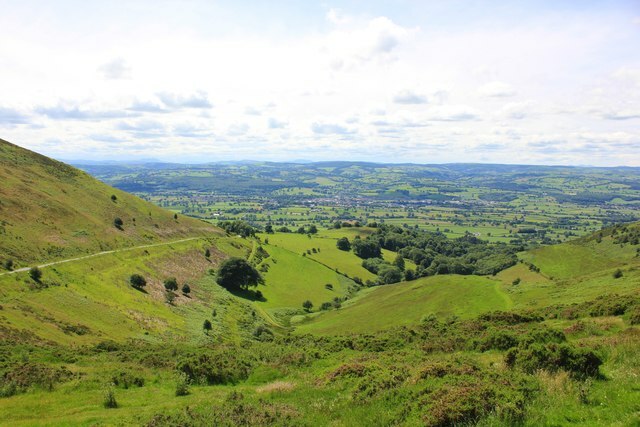 Here is a picture taken across the Vale of Clwyd, taken by Jeff Buck. 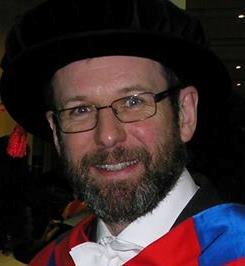 Still determined to enjoy civilisation as much as I can while we still have it, last night I went to a splendid concert at the Royal Welsh College of Music and Drama in Cardiff featuring acclaimed Welsh pianist Llŷr Williams in the eighth (and penultimate) concert in a three-year series in which he is playing all the solo piano compositions of Ludwig van Beethoven. The first half of last night’s recital comprised two very contrasting works united by the fact that both were dedicated to pupils of Beethoven. The first, the “Grande Sonata” No. 4 in E-flat major (Opus 7) dedicated to Anna Louise Barbara Keglevich (also known as Babette). This is an early work, in four movements in a relatively conventional classical style, and you can hear the influence of both Haydn and Mozart in it. The second piece, much later and more famous, was the Opus 78 “a Therese“, dedicated to the Countess von Brunswick. This is a radically different piece, in just two movements, with a very brief slow introduction of just a few bars after which it is all at a sprightly tempo. It’s quite a odd work, really, and probably quite hard to play with flurries of notes coming thick and fast. After the interval we heard two more sonatas, the connection between them being that both have nicknames: Sonata No. 15 (Opus 28) “Pastoral” and Sonata No. 26 (Opus 81a) “Les Adieux”. The nicknames given to some of these works are usually not by the composer and are sometimes rather misleading. The name “Pastoral” was attached by a music publisher not by Beethoven himself, but it does describe the mood of at least some of this piece, which does evoke the countryside. It’s a lovely work, actually, one of my favourites from the entire repertoire. ‘Les Adieux’ is a work in three movements describing respectively the farewell, absence and return of the Archduke Rudolf as he was forced to leave Vienna when it was attacked by Napoleon’s army in 1809. The second movement’s moving expression of loss and loneliness, is followed by a jubilant finale marking Rudolf’s return. That was the end of the advertised programme, but not quite the end of the concert because after very warm applause, Llŷr Williams returned to play a rather substantial encore – the 32 Variations in C Minor (also by Beethoven). It’s not quite as substantial as it seems, though, as each variation is only 10-15 seconds long.